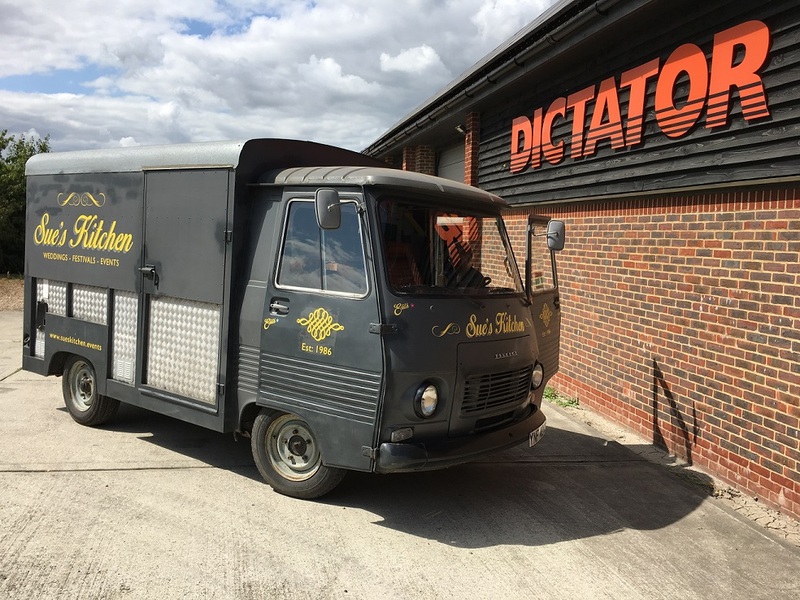 ‘Edith’ is a classic Peugeot J7 van that has been converted to provide a stylish mobile catering facility and was imported from France to the UK by 'Sue's Kitchen'. As part of the conversion the side of the van has been modified to provide an opening hatch which runs the full length of the vehicle. The hatch allows access to serve customers and provides shelter for them while they wait for their order to be prepared. The hatch is large and too heavy to lift safely by hand. Gas springs had been fitted at the time of the conversion but were not strong enough to hold the hatch at the fully open position. Additionally, because the gas springs had not been correctly installed they were being badly bent every time the hatch was closed. 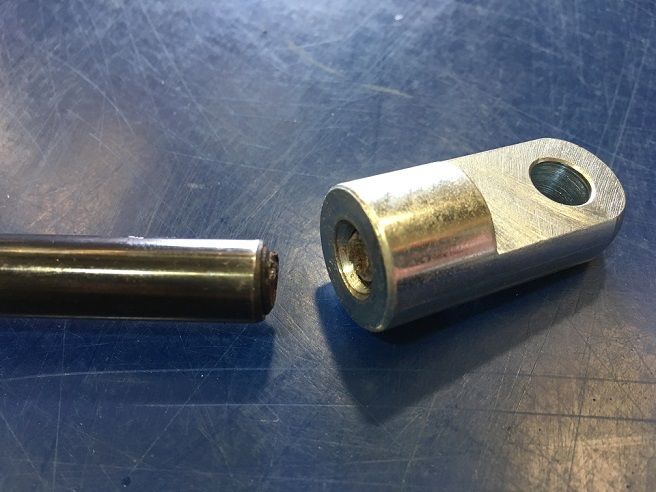 This soon caused the gas springs to break at the point where the eyelet end fitting connects to the piston rod. Without gas springs fitted the hatch was dangerous and almost impossible to lift. The owner of the van contacted Dictator following a recommendation of our service by another customer. 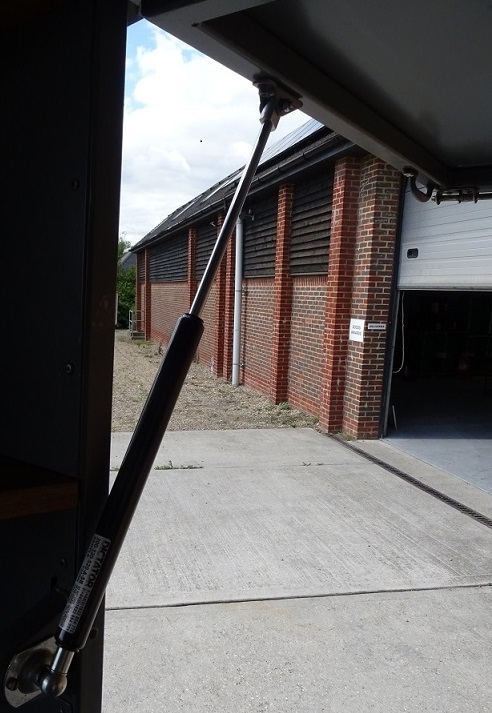 Dictator carried out a thorough assessment of the application, and swiftly manufactured new gas springs complete with purpose made end fittings which enabled the use of the existing mounting points and avoided the need for any alterations to the van or hatch. The new Dictator gas springs eradicate all of the earlier problems. The hatch can now be opened and closed easily and smoothly by a single user without difficulty. 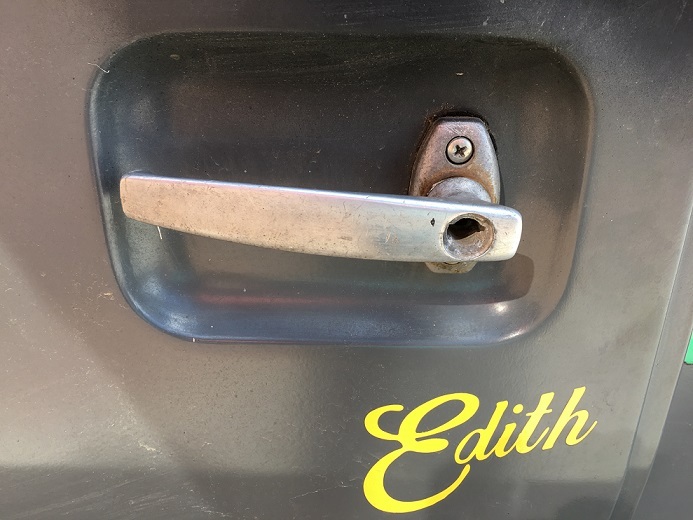 The owner is delighted with the results and Edith is now ready for a busy life on the road, charming customers wherever she goes!